Discover the biggest issue in conservation today. 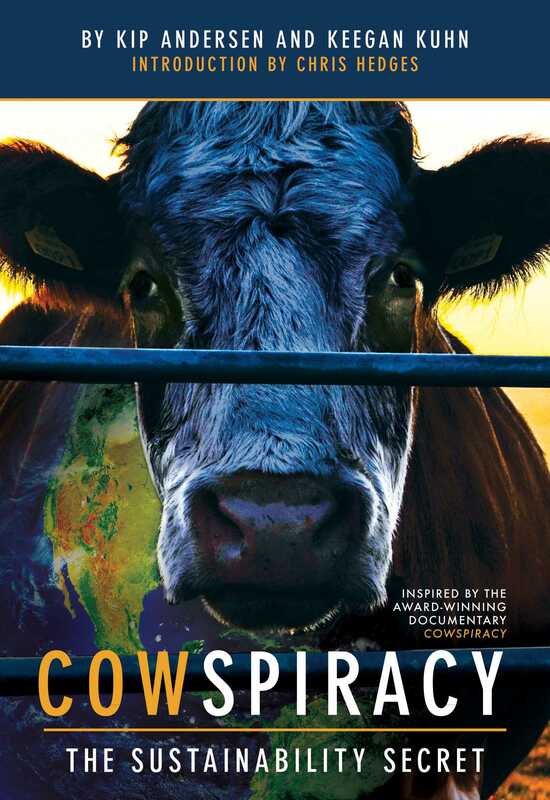 This companion to the documentary Cowspiracy explores the impacts of the most environmentally destructive industry on the planet: animal agriculture. The award-winning documentary Cowspiracy presents alarming truths about the effects of animal agriculture on the planet. One of the leading causes of deforestation, greenhouse gas production, water use, species extinction, ocean dead-zones, and a host of other ills, animal agriculture is a major threat to the future of all species, and one of the environmental industry’s best-kept secrets. The Sustainability Secret expands upon Cowspiracy in every way. Journey with authors Kip Andersen and Keegan Kuhn as they discover one shocking statistic after another and interview leading businesses, environmental organizations, and political groups about the subject of animal agriculture and its disastrous effects. Extended transcripts, updated statistics, tips on becoming vegan, and comprehensive reading lists provide an in-depth overview of this planetary crisis and demonstrate effective ways to offset the damage through personal dietary choices. Kip Andersen is the executive director of Animals United Movement (A.U.M.) Films & Media—a nonprofit dedicated to producing films and media promoting sustainable, compassionate, and peaceful living. He is the co-director of the groundbreaking documentary film Cowspiracy: The Sustainability Secret.